The CW should just go ahead and admit it stands for “Comics Woo-HOO!” (an acronym in progress). According to Variety, Elizabeth Banks will be producing a pilot for the network that takes a somewhat deep cut from DC Comics’ continuity — Project 13. The title doesn’t sound familiar, but the main character may — Traci Thirteen, daughter of Dr. Terence Thirteen. …the one-hour drama would center on Traci, a twenty-something forensic scientist and believer in the paranormal who discovers her own hidden extra-sensory abilities when she joins her estranged, skeptic father to investigate mysterious cases of the paranormal and unexplained phenomena. 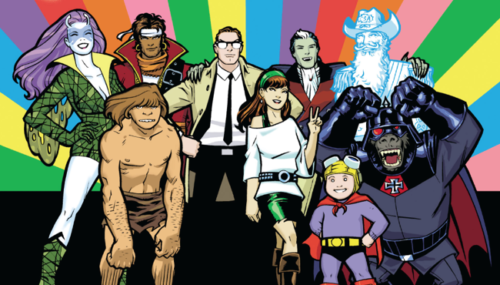 It’s way too soon to know whether or not this would fit within the so-called “Arrowverse,” though with John Constantine (Matt Ryan) having appeared on Arrow, coming soon to DC’s Legends of Tomorrow, and getting animated on CW Seed, there’s plenty of room for the supernatural even as it’s possible that the CW could be looking to phase out Supernatural. 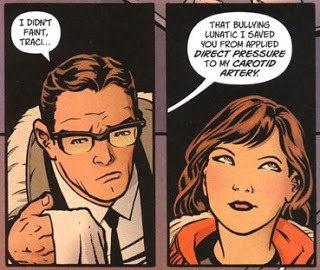 Traci Thirteen currently makes appearances in Superwoman, and debuted in Brian Azzarello and Cliff Chiang’s Tales of the Unexpected, which was reprinted as Doctor 13: Architecture and Mortality. 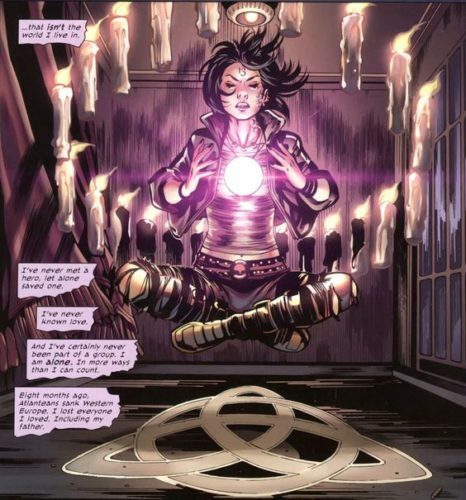 Gifted with extra-sensory perception and a foot in the paranormal that her skeptic father tried originally to deny, she’s a strong character that DC Comics should consider featuring more often — and probably will. 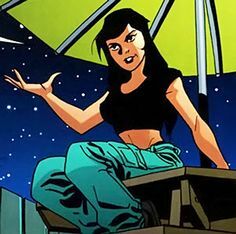 Her father, Dr. 13 (occasionally given the epithet “the Ghost-Breaker”) originally appeared in DC’s Star Spangled Comics, then moved on to House of Mystery in the 1950s. 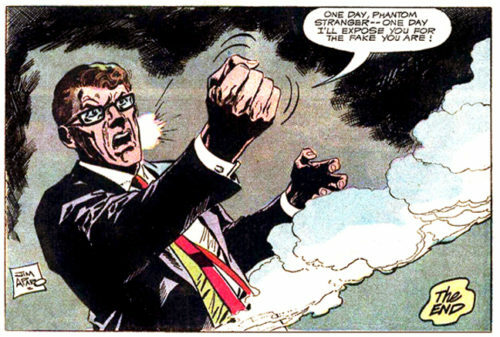 Eventually, he became a frequent foil to The Phantom Stranger, debunking cases of the supernatural and determined to expose the Stranger as a charlatan. Both father and daughter played key parts in Flashpoint. Though not mentioned in the Variety article, and maybe not yet in the cards, the Phantom Stranger would certainly be a great recurring character to tie it further to DC Comics. But that’s just Fanboy Planet spitballing hopefully. For that matter, in the comics Traci dates Natasha Irons, the super-genius niece of John Henry Irons aka Steel. For the record, the comic book-based series the CW currently airs are Arrow, DC’s Legends of Tomorrow, The Flash, Supergirl, iZombie, and Riverdale, with Black Lightning due in early 2018 and The Chilling Adventures of Sabrina currently in development. They may need to add an extra broadcast hour each night.